We’ve conducted a poll (if poll means asking everyone we know in real-life and on Instagram) and it is official. Motherhood ages you. We don’t just feel more tired; we all feel like we look more tired. We looked back at photos of us when we first launched TIM (a mere two years ago) and we looked so fresh faced. Wah! 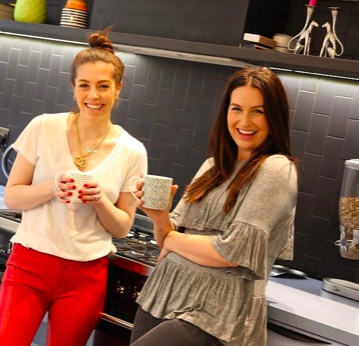 In case you haven’t listened to our ‘how we found out we were pregnant’ vlog (the first time around), then you won’t know that one of us has had Botox before (we’re not telling who, you have to watch it) but that was years ago and without the time to get to Harley St, we wanted to see if any product alternative could help us in the line department. For us, we don’t want to look frozen, that’s not our aim. We want our kids to recognise our faces – it’s the first thing that they saw after all. But we want to look more rested. 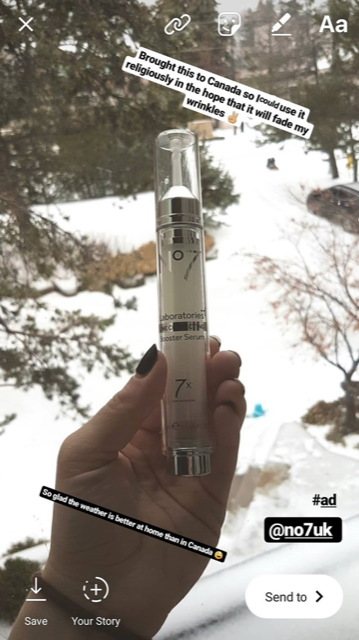 Queue No7 Laboratories and their snazzy new No7 Laboratories Line Correcting Booster Serum. Now it may look a little like a Botox needle, but that’s looks alone. Inside is 7x more Matrixyl 3000 Plus TM than any of the other No7 serums, and this is clinically proven to reduce lines and wrinkles by up to five years. What is Matrixyl 3000 Plus TM you’re probably asking? It works to recover key properties in the skin that have gotten loose in the early stages of ageing, thus forming those wrinkles. So we’ve both been trying it. For real. Gemma even took it to Canada with her. 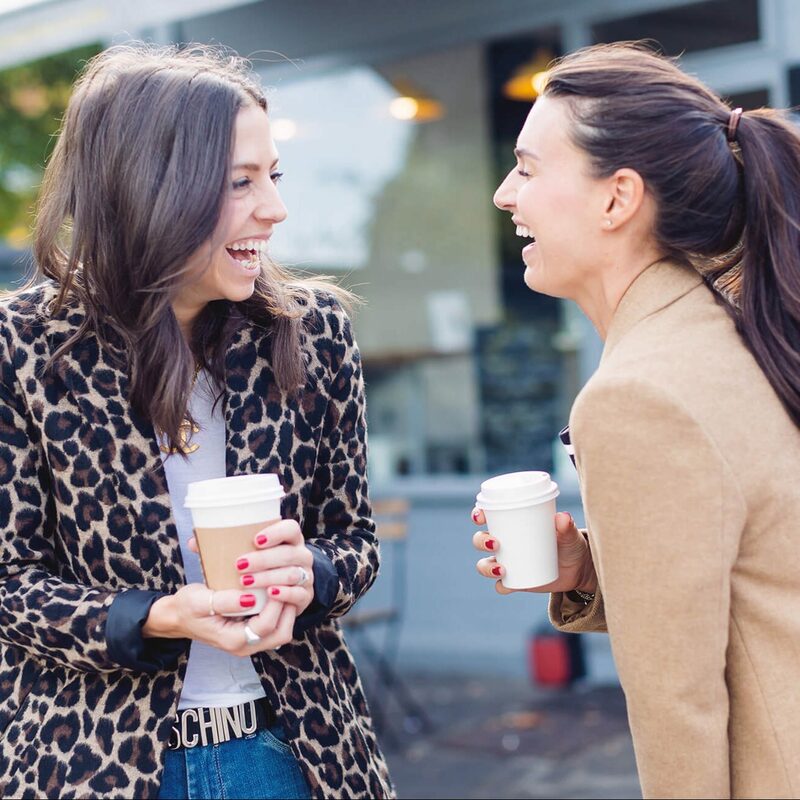 It’s £38 and has sparked a stampede at Boots stores with a wait list of over 17,000. And now we hear they’re selling one every two seconds! Madness. So potent are the ingredients that it’s designed to be used only where you need it most, rather than all over like regular serums. So it’s super targeted and you can personalise where you want to use it. Gemma has been using it around her eyes and Sam on her forehead. 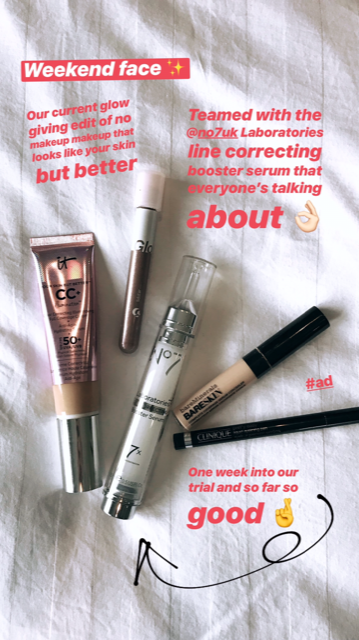 It feels a little sticky on application, but once you’ve applied it to the areas that you want, you apply your normal serum and moisturiser and you don’t even know it’s there. But do we think it lives up to the hype? Well they make a bold promise in that it will reverse the clock by five years but to be honest, nothing will make us look as fresh faced and glowing as we did on our wedding day (and those results are to be seen after 12 weeks, we’ve only been trialling for four.) But it is a great stepping stone for those that are considering trying skin resurfacing retinol or tweakments like Botox but would like to give something else a go first that will offer them real results. We’ve been pleasantly surprised and will keep using it to see if we can turn back the clock in the next two months!